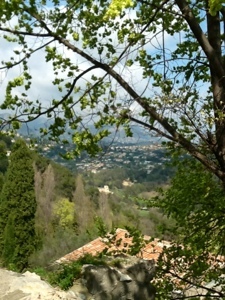 It was love at first sight when I visited the rustic town of St-Paul-de-Vence in the south of France. In my previous post, I blog about the beautiful modern art sculpture garden at the Fondation Maeght, which is close to the village. 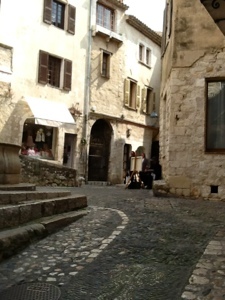 I confess I am obsessed with this town, which is quite literally all made of stone. That might sound a bit odd, for a garden lover like me. 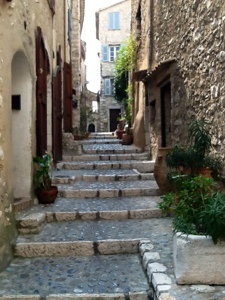 True, this is a medieval village with narrow streets and fortified by walls; still, I wonder, what was the reasoning for not leaving space for in ground plants? But, having said that, I still like this rugged look. so if you live on the fringe of town, you have a lovely green vista. Otherwise, it might look like this. 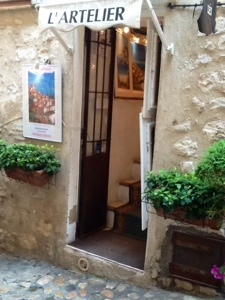 But just look what two classic potted urns, flanking each side of an art gallery entrance, does for the aesthetics. 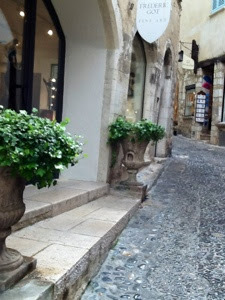 They create such elegance simply by adding a tiny bit of soft, green plants in a world made of cold, hard stone. 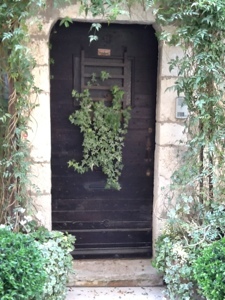 I found myself snapping up photos of doors and pots. Clearly, the hard-core plant lovers reside on this street. 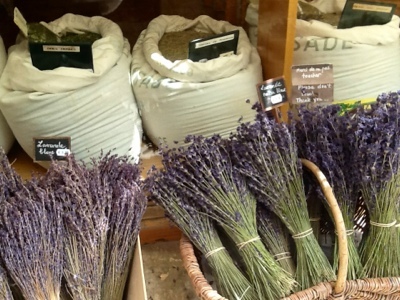 or the region's herbs and spices, such as this heavenly scented lavender. 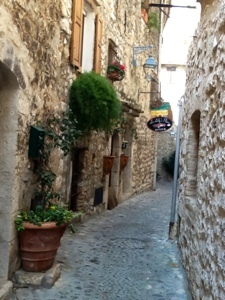 before walking to my petite maison, which is hundreds of years old. 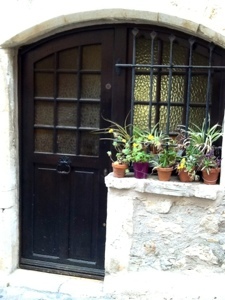 And I would create container gardens to grace my windows and front doors. it is difficult to imagine not having plants at the front door. Hi Jeannine, thanks for the lovely post about St-Paul-de-Vence. 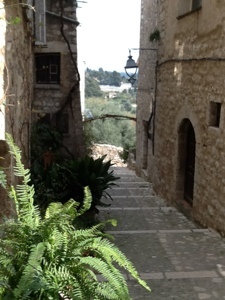 What a fascinating and beautiful ancient village. 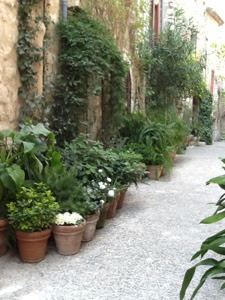 I always admired what people in European countries like France, Italy and Greece achieve "just" with container gardening. It makes the front of the houses look so much more friendly. Your post inspired me to have a closer look at the containers at my front door as well and maybe spiff them up a bit :-)! 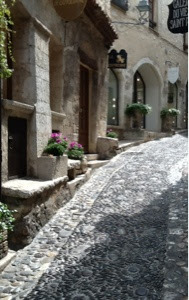 The plants against all that stone really stand out. 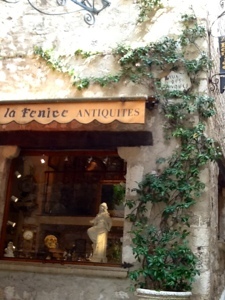 Love the urns, and the vines growing up the walls. 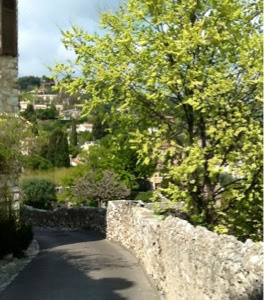 Even in a beautiful place made of stone, it is even more beautiful with a touch of green. 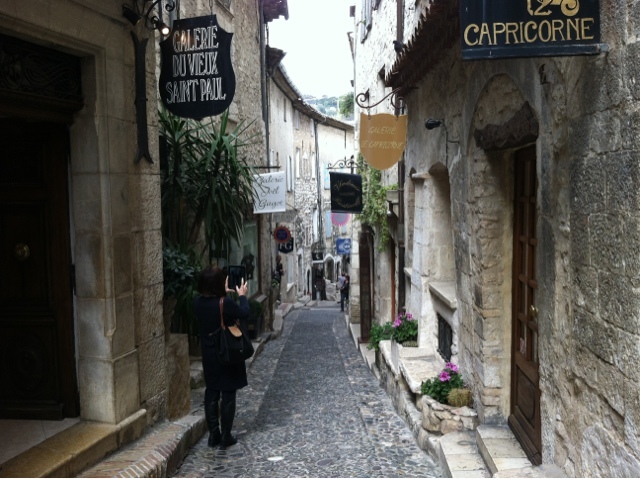 Wow, such an atmospheric looking old French town! You can do so much with containers and think of how little work there would be. Sometimes that idea is appealing when I look at my big garden.